Spectacular landscapes, beautiful beaches, excellent cuisine... what do you think of a unique and exciting getaway to Vietnam? It's a paradise that has everything and more for unforgettable honeymoons. 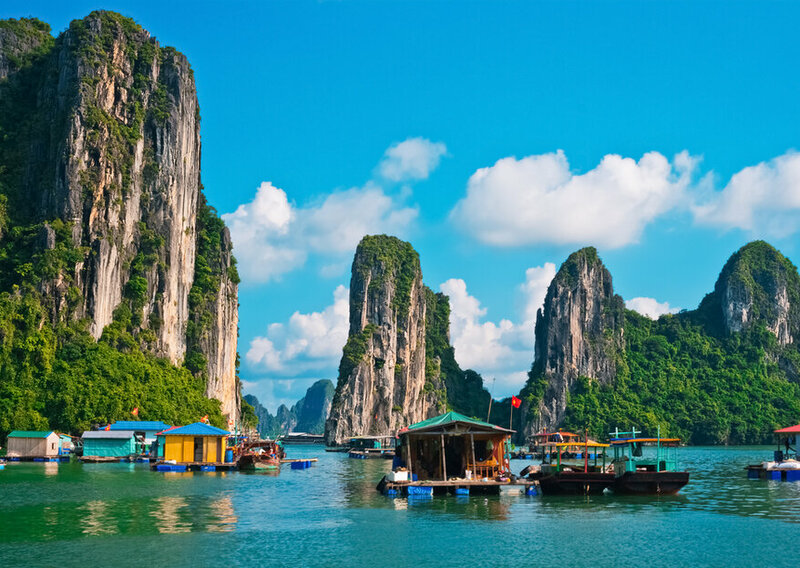 Vietnam is one of the jewels of Asia. Its culture is enriched by Buddhism and Cristian millenarianism, beautifully combined with the majesty of its natural surroundings. Although tourists from all over the world have already discovered its charms, the country is a magnificent place for unforgettable honeymoons. 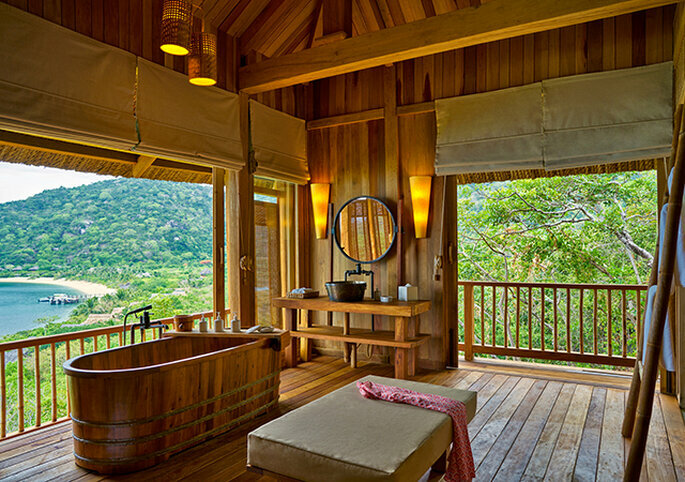 Vietnam offers all types of environments, nurtures millions of experiences and awakens the senses. Beaches, pastoral landscapes, exquisite cuisine and wonderfully welcoming and friendly people: this destination has everything and more. 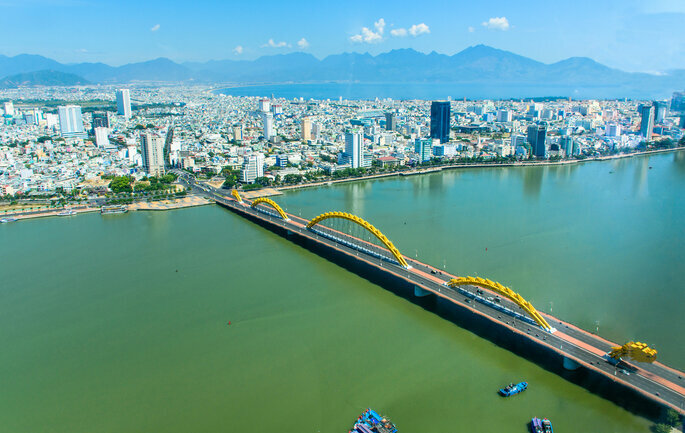 The history of Vietnam during the second half of the twentieth century is well known, but the country has seen many more political, cultural and social issues throughout its vast history. Vietnam therefore consists of a mix of cultures that have influenced its current landscape, with Buddhism as the predominant religion (84%). 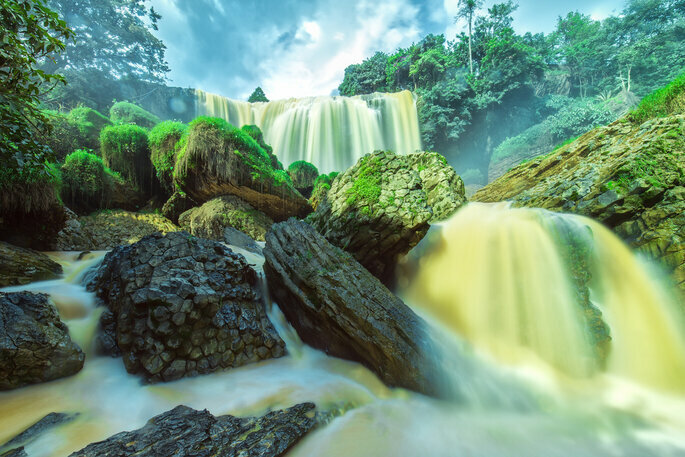 Vietnam’s geography is full of contrasts: while its surface is 40% mountainous, it also has populated biosphere reserves, such as the Red River delta and the Cuu Longy River delta. 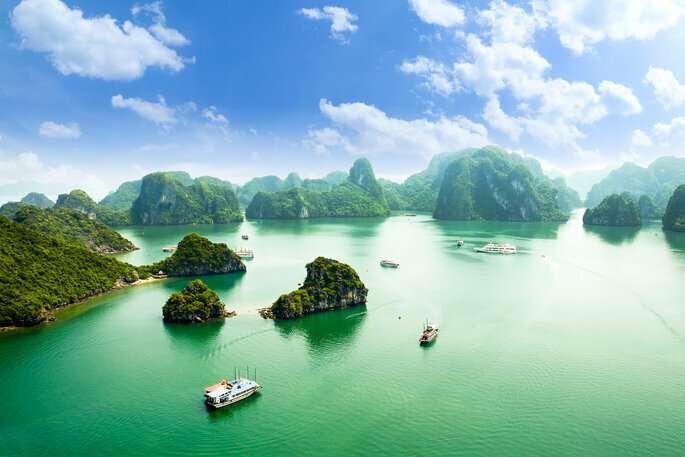 Thus, the country offers all kinds of environments, from leafy forests to huge paradisiacal beaches and other beauties such as Halong Bay, declared a World Heritage Site by UNESCO in 1994. 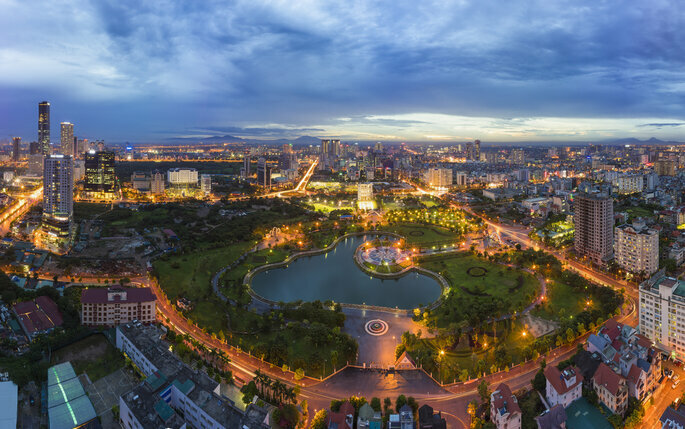 Hanoi is the capital of Vietnam and its hustle and bustle is the main point in common with the big cities of Southeast Asia. However, there is a certain order to the busy chaos. A clear example is the organization of the streets according to certain crafts and other categorised disciplines, which facilitates a unique sort of navigation for its inhabitants and visitors. The main centers of interest are the Hoàn Kiếm Lake, the Temple of Literature, the Ho Chi Minh Mausoleum and the Saint Joseph Cathedral in Hanoi. The city also surrounds itself with unique natural environments, providing exciting day trips for tourists. But despite the splendor of the capital, Hôi An is one of the most beautiful cities in Vietnam. The 2000 years of history behind it has made it an attractive space for Vietnamese culture. The city is authentic and colorful, still impregnated with the echoes of the past. It is therefore incredibly stimulating to walk through the city center, declared a World Heritage Site by UNESCO, where you can appreciate emblematic landmarks such as the Japanese Covered Bridge, the temple of Quan Cong and the old houses (those of Phung Hung, Quan Thang and Tan Ky are spectacular). Also, although the whole city is illuminated throughout the year, you should definitely organize your trip around the Lantern Festival in Full Moon, in which all the artificial lights are put out and only the warm lights of lanterns can be seen for miles. 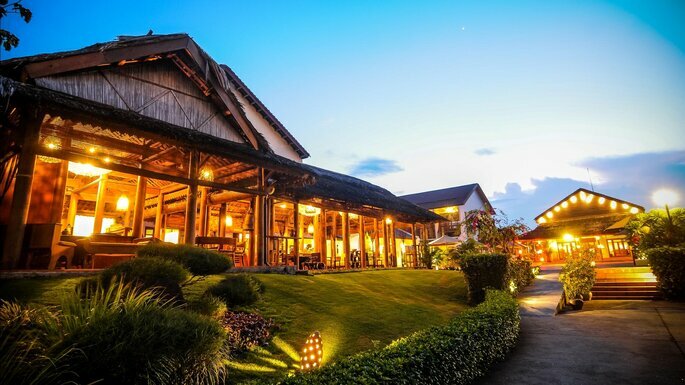 To spend wonderful days in Hôi An, the Golden Sand Resort is one of the best options. 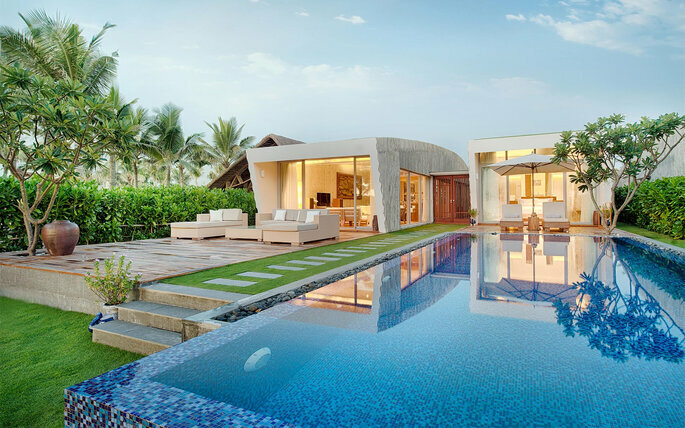 Although it boasts an impeccable luxury service, its greatest attractions are definitely the views towards the ocean and the lavish gardens, as well as the cuisine, one of the most extraordinary in the area. 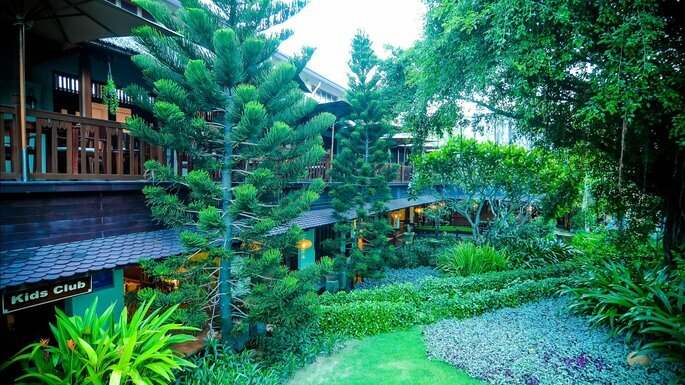 The Palm Garden Resort, meanwhile, is located on Cua Dai Beach, in the domains of a lush tropical garden, and its charm comes from its eclectic mix of Vietnamese tradition and modern style. 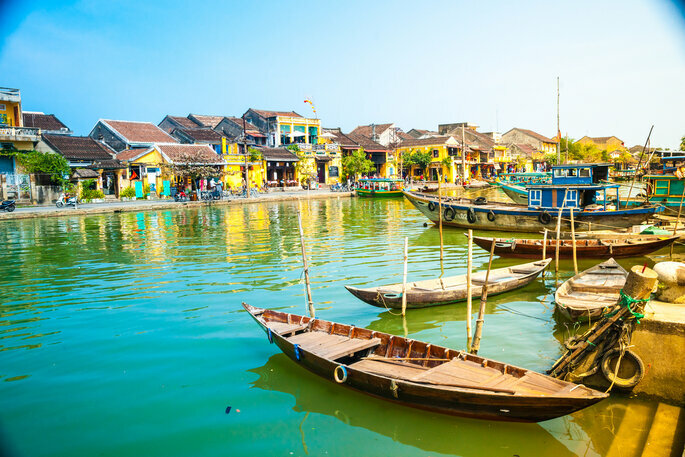 Đà Nẵng, on the other hand, is an independent municipality that owes part of its charm to its incredible port. 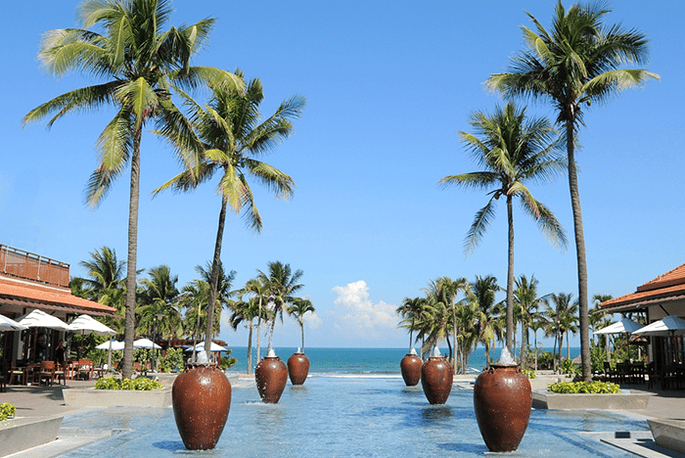 Here, there are three fantastic places to stay:Naman Retreat, Furama Resort Danang and the InterContinental Danang Sun Peninsula Resort. 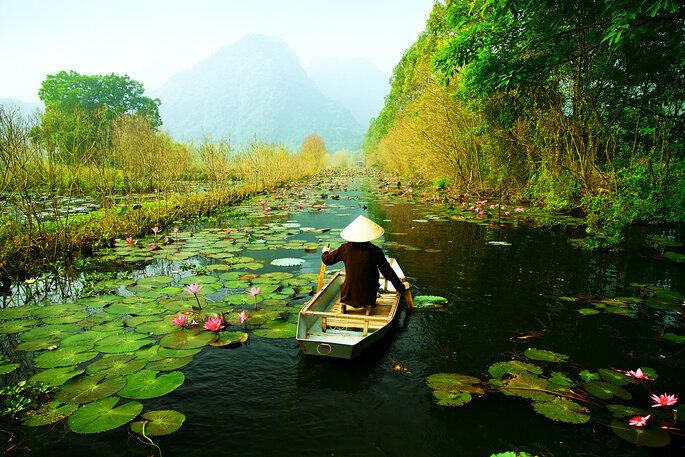 The location of Vietnam is what most delights nature lovers and explorers. 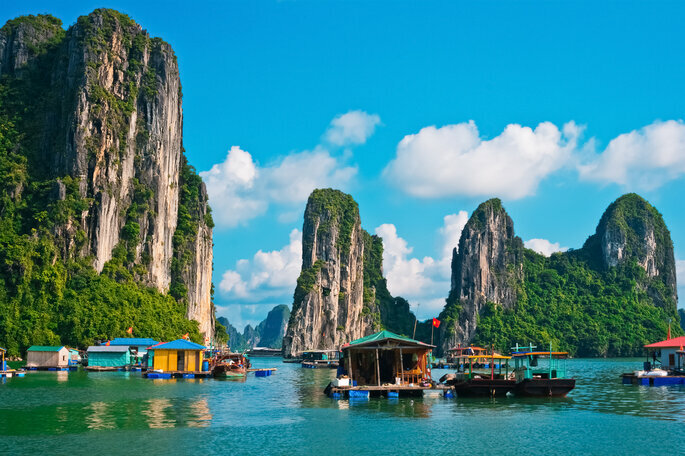 One highlight is, of course, Ha-Long Bay, a World Heritage Site by UNESCO, a coastal area consisting of 1,600 islands of different shapes. A boat trip in this area is a treat for the eyes, as well as a dream for any travellers seeking a multitude of adventure activities, due to its extraordinary geography. 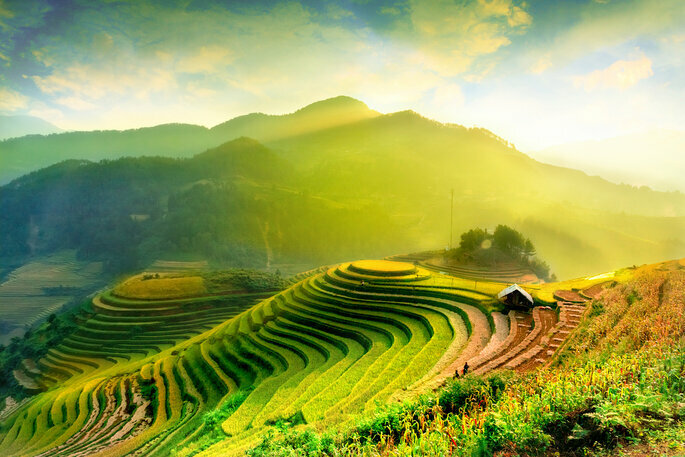 The rice fields of Sa Pa are another attraction. These layered terraces, built on a mountain with an altitude of 1500 meters, are real works of art. The region also includes a large number of ethnic minorities that best show the depths of authentic Vietnamese culture, even more so if you let yourself be guided by one of the local/native village people who lead tours. Dà Lat is a region perfect for a romantic retreat, and its also where you can go hiking or canoeing. It’s home to some great natural wonders, too, such as the beautiful and impressive Elephant Falls. 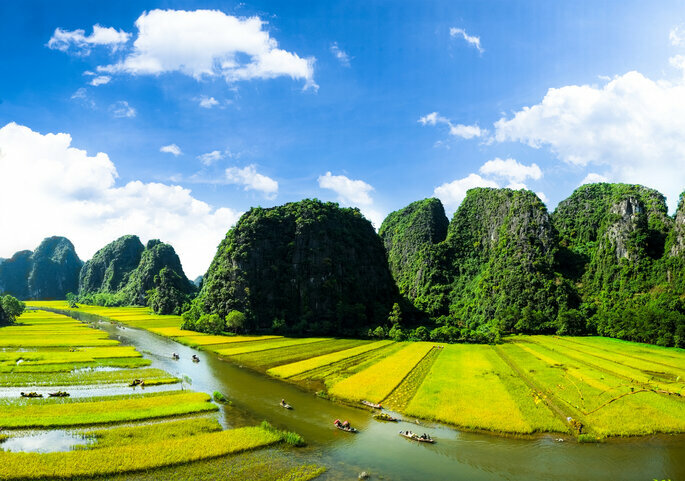 Ninh Binh is another must-visit region, right in the bowels of Vietnam. Here, the landscapes are synonymous with extraordinary visual beauty; the exploration of caves and virgin forests being another of its great attractions. 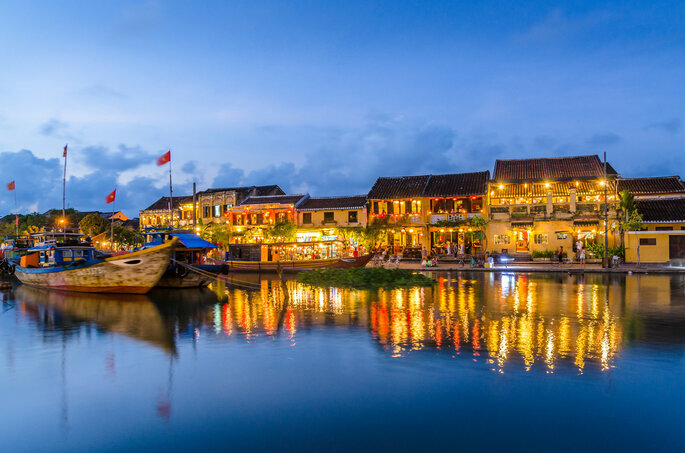 Also, before letting yourself be carried away by the mysticism of Ninh Binh you should also visit Tam Coc, where floating markets form only part of its wonderful charm. Can Thơ, caressed by the Mekong River, is another area with an abundance of floating markets and, better yet, a spectacular landscape to explore. Khánh Hòa is the province where beautiful expansive beaches unfold before your very eyes. 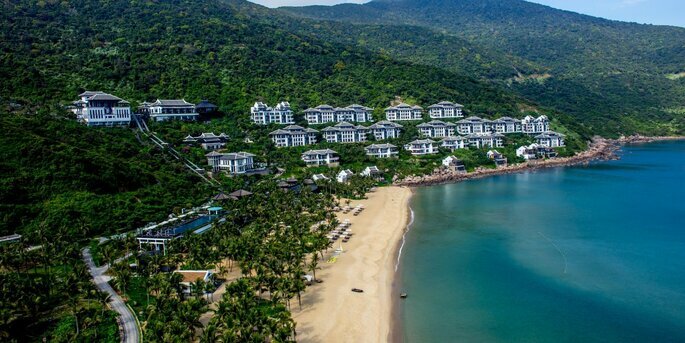 Ninh Hoa is one of its main cities, where in the Bay you can find one of the best hotels in Vietnam: the Six Senses Ninh Van Bay. The white sand beach, the surrounding vegetation and the mountains reach directly to a desert island, which, when combined with the magnificent facilities of this luxury resort, make for the most romantic of honeymoons. The city of Nha Trang, also in Khánh Hòa, offers some of the best beaches in Vietnam, such as Doc Let, Bai Dai or Bai Duong. Their paradisiacal character also reaches the depths of the ocean, where a festival of colors and creatures give life to the seabed. 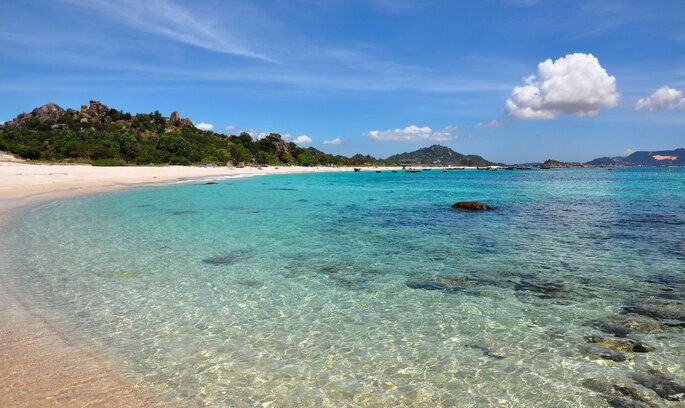 This place is the favorite of scuba divers and lovers of snorkeling. 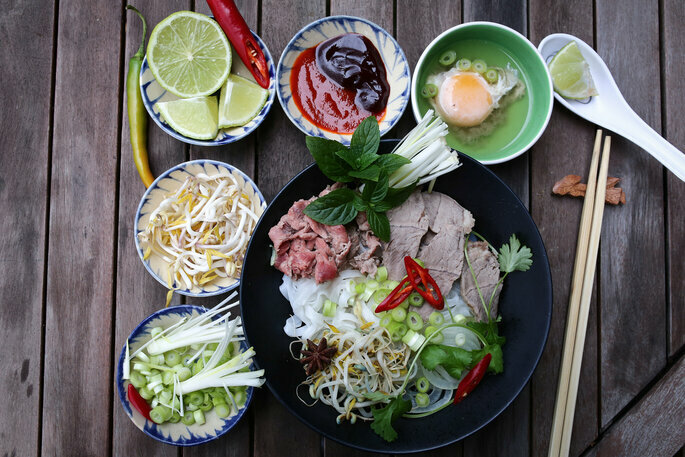 Vietnamese food is one of the best in world cuisine. Throughout the country, both on the coast and inland, your senses will be awakened with a torrent of colors, flavors and smells. However, the city of Ho Chi Minh (formerly Saigon) is especially good for trying new and creative cuisine. So, what do you think of a unique and exciting getaway to Vietnam? It’s a paradise that has everything and more for unforgettable honeymoons.